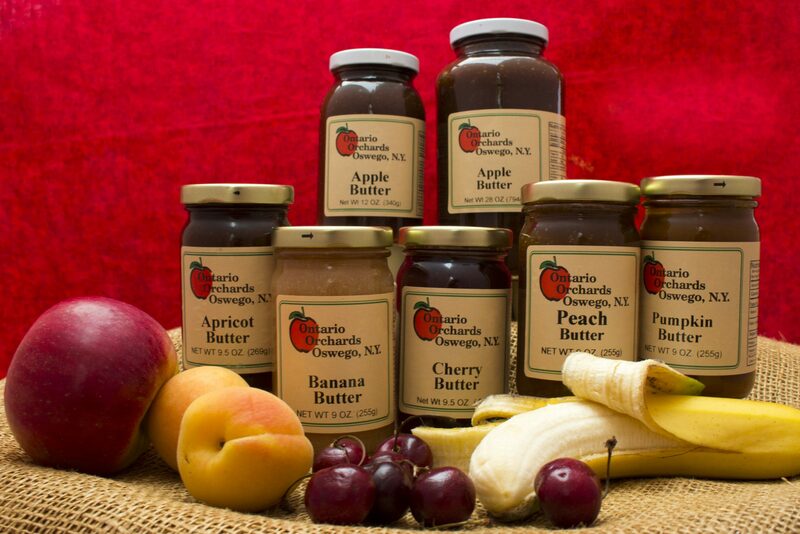 Ontario Orchards Fruit Butter will add a splash of flavor to your everyday breakfast! With a rich, creamy texture from one (or all) of our five buttery flavors you’re sure to want more! If you don’t know what the hype is all about, you’re definitely missing out on the best tastes that nature can give you. Click here to learn more. Ontario Orchards Apple Butter comes straight from the heart of Apple Country in Central New York! Sweet and creamy, you can spread it onto all of your favorite breads and crackers, add it to your family recipes, or use it as a unique and tasty condiment. You’ll love it, no matter how you spread it! Sold by the jar and shipped straight to your door from Ontario Orchards, always ready for you at a moment’s notice. It tastes like we jammed the whole orchard into one jar! If you’re looking for a sweet treat, a taste of Central New York or a last minute gift for someone, this is the perfect way to let them experience what Central New York has to offer. What is Apple Butter and how is it made?